Travel even further through space and time in the stunning sequel to NOUMENON - a tale of exploration, adventure, and science. In 2125, the interstellar convoy NOUMENON set out on a voyage that changed humanity's place in the universe forever. Three millenia later, the convoy's remaining ships and the clone descendants of its original crew are returning to the anomalous star LQ Pyxidis with new dreams and new objectives. But NOUMENON was not the only mission to leave Earth behind in the 22nd century. Physicist Vanhi Kapoor is the leader of Convoy 12. Hers is the smallest Planet United Mission and the only one working entirely within our solar system, but as Vanhi's team pushes the boundaries of subdimensional research further than ever before, disaster strikes. Suddenly, they find themselves very far from home, with the unknown on their horizon. 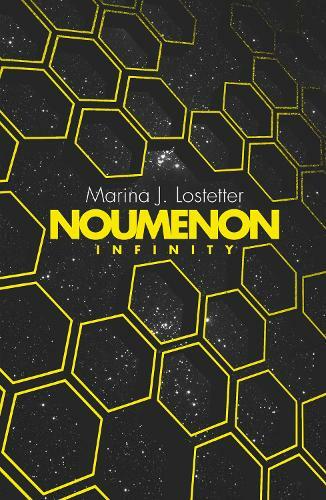 NOUMENON INFINITY is the story of two missions, aeons and light years apart. They are connected both by a spirit of adventure and an interstellar mystery that transcends time and space.